In the last column we discussed the role of probiotic bacterial species in the treatment of Candida overgrowth. We learned that there are hundreds of species of beneficial bacteria that live in the intestinal tract. We learned that these species work synergistically together amongst themselves and with our immune system to digest food and to protect us from bacteria, viruses, and other microorganisms. We learned that a good probiotic should contain multiple strains of bacteria, as opposed to just one or two strains. 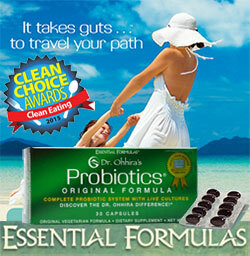 Finally, we learned that a good probiotic should be tested to ensure it contains the active cells it claims. In this column, we will investigate the role of detoxification during Candida overgrowth treatment. We learned in the first article in this series that Candida is a yeast that naturally lives in several locations in the human body like the skin, genitourinal tract, and digestive tract. The problem with Candida is not its existence but when it overgrows its natural territory and overpopulates the body. Candida cells are highly metabolically active, which means they consume a lot of fuel and create a lot of waste. When there is an overgrowth of Candida in the body there is a coinciding overproduction of waste. This waste needs to be processed and eliminated from the body, which puts a lot of strain on the primary organs of elimination not only during Candida overgrowth but also during treatment. The primary organs for detoxification are the liver, kidneys, lymphatic system, and bowels. Each of these organs has an increased burden for people with Candida overgrowth. Most often Candida overgrowth primarily occurs in the GI tract, but also creates burden systemically. This means there will be local waste production throughout vast areas in the GI tract, which will in turn migrate to other areas throughout the body. Immune cells attack the Candida cells and produce high amounts of immunoglobulins like immunoglobulin G (IgG). There are metabolic waste products from the Candida cells, waste products from the destruction of Candida cells, and waste productions from the inflammatory attack on the Candida cells. As you can see, the process of Candida overgrowth creates a great deal of molecular waste for the body to deal with regardless of whether a person is actively treating the overgrowth or merely living with it. The risk factors for Candida overgrowth include high sugar diet, high acid diet, sedentary lifestyle, smoking, alcohol, antibiotic treatments, and exposure to toxicity. When you look at this list of risk factors it appears obvious that each risk factor for Candida is also a risk factor for impairing the detoxification pathways of the body. Therefore, not only do people with Candida overgrowth need detoxification support because they have an overgrowth, they also need cleansing because of the toxicity from the risk factors for their Candida overgrowth. Almost all nutrients and wastes from the GI tract go to the liver before they go anywhere else in the body. This route is called portal circulation and this is where the liver must decide whether a substance is a waste or not and then take action on the things it determines to be waste. Before these nutrients and wastes get to the portal vein they must make it through the lymphatic vessels. The lymphatic system is vast in the GI tract and contains most of the immune cells in the digestive system. Most nutrients and wastes that do not make it through the lymphatic system to portal circulation to the liver will continue down the GI tract for excretion in the stool. When you examine the flow of wastes in the GI tract it is clear to see that the liver, lymphatic system, and bowels are under increased pressure when there is an overgrowth of Candida. 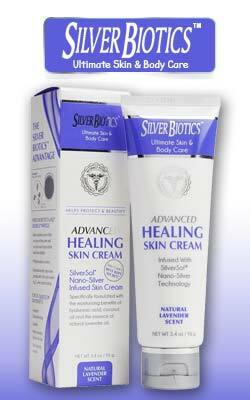 I recommend supporting the liver, lymphatic system, and bowels to all patients who are treated for Candida overgrowth. I like to use a mix of botanicals, amino acids, vitamins, minerals, acupuncture, and hydrotherapy. In my opinion the most important aspect of detoxification is that the treatments you use actually support the function of the organs that need support. For example, I almost always recommend milk thistle because it promotes liver function and regeneration. I rarely recommend laxatives because they don’t actually improve bowel function. Rather, they fool you into thinking you are cleansing merely because you are going to the bathroom more frequently. The second most important part of detoxification is ensuring the pace of cleansing is tolerable to your body. During a detox, you should expect to notice signs of increased elimination like increased sweating, urination, bowel movements, skin discoloration amongst others. However, these signs of detox should be mild to moderate and should never feel intolerable or like a flare. If you think you may have an overgrowth of Candida I highly recommend you work with a professional who is well versed in diagnosing and treating Candida overgrowth naturally. Although many people guide themselves through a “Candida Cleanse,” too many people don’t actually treat it successfully and have to attempt to treat Candida several times before they finally get the job done. This process wastes a lot of time and money and often causes other health concerns from ineffective treatment. In this series we have discussed many ways to treat the overgrowth of Candida. The purpose of this article was to highlight the importance of supporting the body’s detoxification processes as a part of the treatment. I find when detoxification is a part of the treatment process patients are less likely to experience a recurrence of their overgrowth because they have dealt with the problem more comprehensively.